We are sold out of rooms at all resorts, but still have the commuter package available for coaches and athletes. If you are a coach and would like to roster your team and register for the event, click here. If you are anyone registering separately from the team (coach, participant, spectator), click here to register. You will need your team's reservation number in order to proceed. Participants and Coaches must be listed on the team roster in order to register and may select housing OR commuter. Spectators may select the housing option for themselves and the housing OR commuter option for their participant. Spectators cannot register as commuters. If you are a spectator and need to order Park Hopper Tickets, you may attach a Park Hopper Park Hopper Ticket order to your participant's registration in the "Add On" section of the registration process, or use the link below under "Worlds Park Hopper Ticket Information". Change". Changes are not confirmed until verified by your Registration Specialist. Click here to request a change. If you already have a reservation and would like to make a payment, click here to sign in to your account and then click on "Invoice/Payment" button, then "Make Payments". If you would like to upgrade your Park Hopper Ticket in advance the price is 45.00 for 3 day-4 day or 4 day-5 day and 90.00 3 day-5 day. If you wait to upgrade your Park Hopper Ticket in Orlando, the price is 60.00 for 3 day-4 day or 4 day-5 day and 120.00 for 3 day-5 day. Please indicate this in the "add-on" section of the registration process OR if you have already registered, please submit a Change Request. Any extra Park Hopper Tickets ordered on an existing registration must be paid for in full after the request has been submitted. Valid April 22  May 13, 2019. 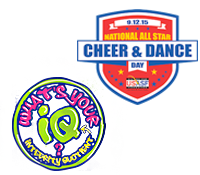 *Park Hopper passes include six days admission into The Cheerleading Worlds and The Dance Worlds venues. The Pre-Order option is no longer available. Tickets will be available on a first come first served basis at the Merchandise tent in Orlando (Disney All Star Resort  Celebrity Hall).